The Mars Science Laboratory (MSL) spacecraft that carried Curiosity succeeded in every step of the most complex landing ever attempted on Mars. The descent stage used rocket engines to reduce its speed and finally at about 35 meters (115 feet) above the surface, the Sky Crane system lowered Curiosity, wheels-down, toward the ground. It landed at the gentle speed of 0.6mph. 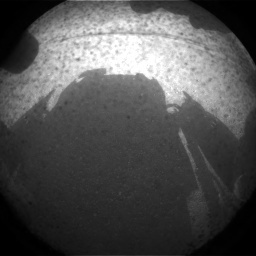 Soon after landing the rover sent its first set of images of the red planet. You can see the excitement of NASA engineers as Curiosity’s landing was confirmed.